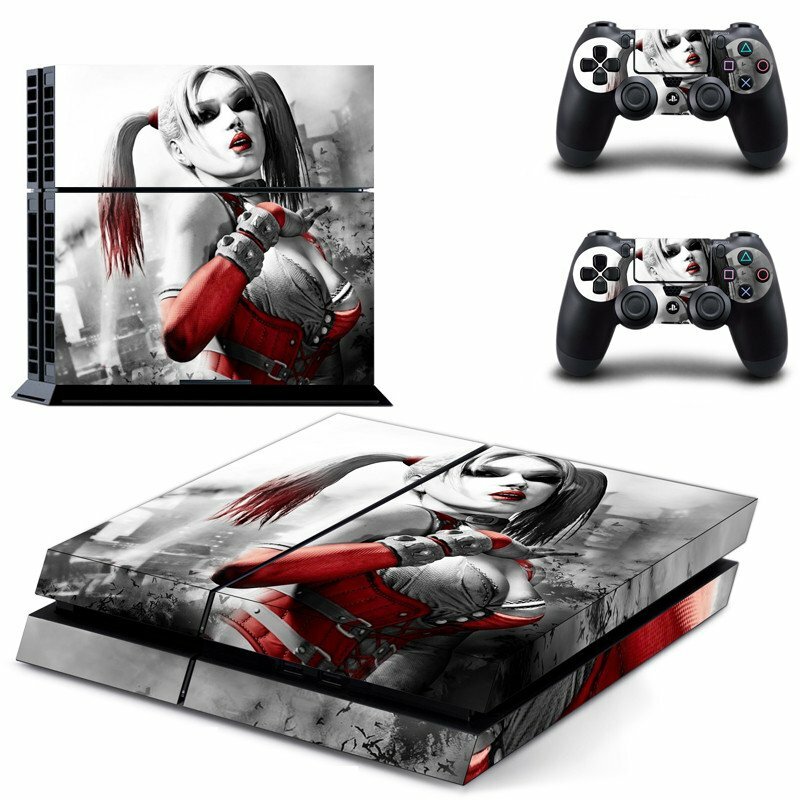 Give a new look to your Sony PS4 console and controllers by easily applying Suicide Squad Harley Quinn theme stickers. It's also great gift idea for friends. - Easy installation. - High Quality print and removable adhesive. - Protect your console and controllers from dust and scratches. - Removable (not leaving a sticky residue). - Compatible with Sony PS4 only. Package Included: 1 x console skin. 2 x controller skins.